Whitney Vickers | Greene County News Soin Medical Center officials broke ground Sept. 10 on a 170,000 square-foot five-story tower. Community member and philanthropist Raj Soin during the groundbreaking ceremony. Kettering Health Network CEO Fred Manchur. 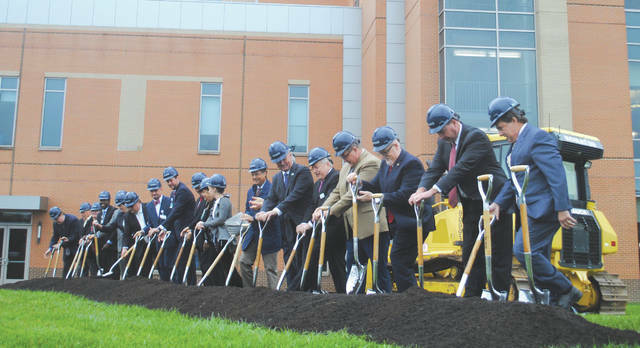 BEAVERCREEK — Ground was broken Sept. 10 on the Soin Medical Center’s new five-story tower. 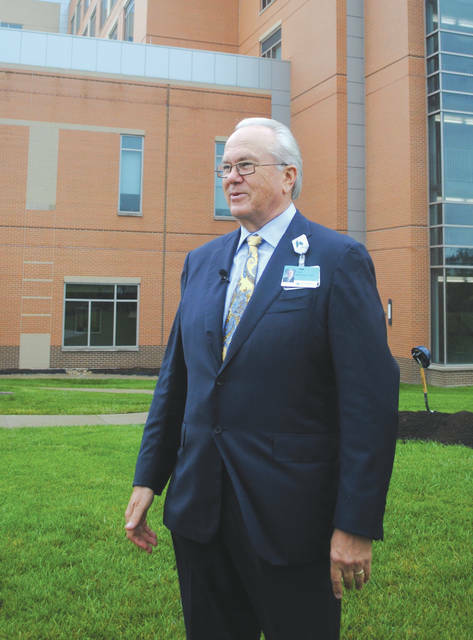 Soin Medical Center and Greene Memorial Hospital CEO Rick Dodds highlighted during the groundbreaking ceremony that there were 110 patients at the Soin facility Sept. 10 — and exactly that many beds available. The 170,000 square-foot tower will house expanding surgical services, cardiac services, private inpatient rooms and shelled space to allow future growth. Construction is expected to be completed by 2020. The project is estimated to cost $70 million and will add several new jobs to the community, according to Kettering Health Network CEO Fred Manchur. Manchur highlighted that the expansion will double the bed capacity and allow the hospital to care for more individuals in need of surgery. Community member and philanthropist Raj Soin said he understands that the need for an expansion is there and that patients seek out Soin Medical Center for its care and people. Since Soin Medical Center opened in 2012, it has underwent multiple expansions including the addition of fourth and fifth floors, a cancer care center as well as a larger emergency department. When asked what’s next for Soin, Manchur highlighted that they will “catch their breath” over the next few years. https://www.fairborndailyherald.com/wp-content/uploads/sites/50/2018/09/web1_soin3.jpgWhitney Vickers | Greene County News Soin Medical Center officials broke ground Sept. 10 on a 170,000 square-foot five-story tower. https://www.fairborndailyherald.com/wp-content/uploads/sites/50/2018/09/web1_soin1.jpgCommunity member and philanthropist Raj Soin during the groundbreaking ceremony. 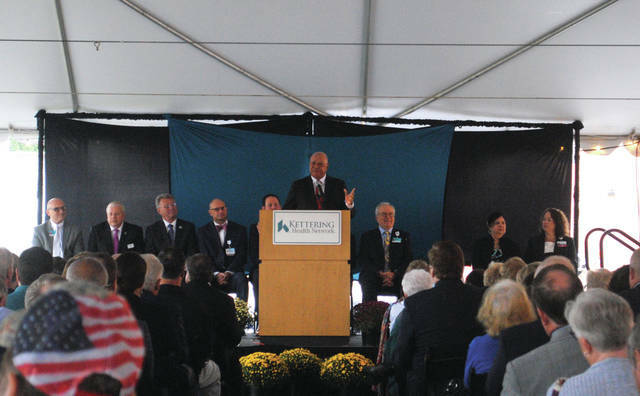 https://www.fairborndailyherald.com/wp-content/uploads/sites/50/2018/09/web1_soin2.jpgKettering Health Network CEO Fred Manchur.